You are the proud owner of a beautiful old house located in a neighborhood of historic homes. You and your neighbors are careful to preserve their authenticity whenever you make renovations. An older home can still be a smart home while retaining that authenticity. A smart thermostat allows you to set and change the temperature from a remote location. For example, during the day when no one is at home, lower the heat. Then, in advance of coming home, you can raise it from your workplace, your car, or public transit. This is just a simple replacement – switch out your old "not so smart" thermostat with a new one. Your benefit? A comfortable house while you’re home without paying for the heat when you’re not. It’s easy to check that you remembered to turn off appliances before leaving for the day or before going to bed. You can program the lights to make it look like someone is home while you are away on vacation. There are products available, such as a remote electronic door lock in vintage finishes, that enhance and perfectly match an old home, so no one would even know. 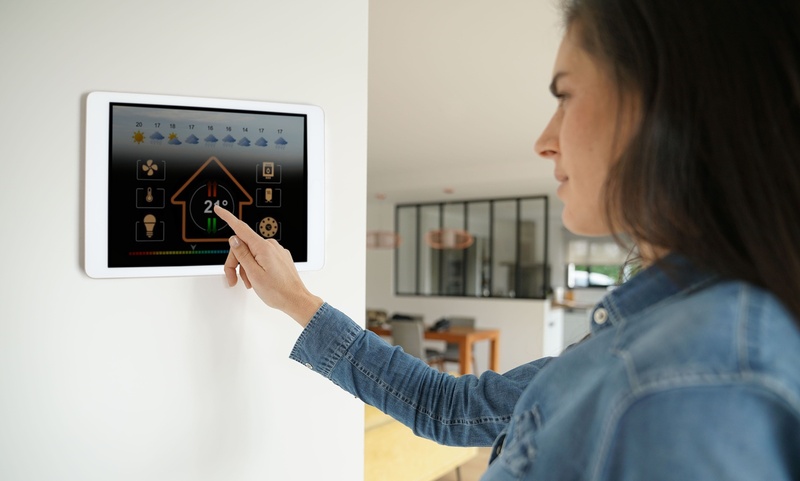 From the very young to the elderly, anyone could appreciate and value the security and time-saving aspects of a smart home. Meet the Johnsons—Jason, Sue, and son Jake—and see how they upgraded their 1907 Edwardian home with app-controlled gadgets to make life easier, safer, and cost-effective (even for their dog, Max). What works for them can work for you, too. This Old House. Renaissance Development, a leader in brick restoration and historic preservation, specializes in the restoration of a historic brick building’s mortar joints using traditional methods (tuckpointing) and materials. We love old homes and are committed to preserving their historic charm and value. Contact us for a free site visit and project quote.